I love pasta. I honestly could eat it every day for weeks and never get bored. To be honest, I could probably eat a few pasta based meals again and again quite happily. It’s just so filling and comforting. 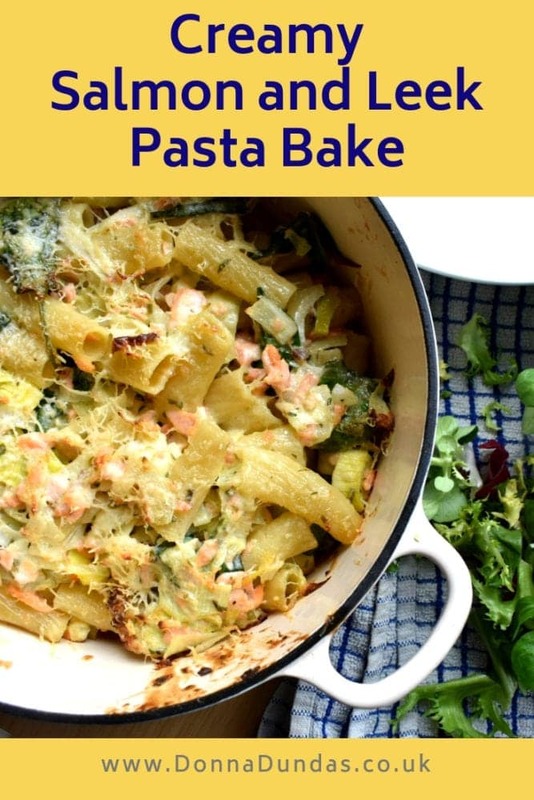 Pasta bake is probably one of my favourite meals. Chicken and chorizo is perhaps my ultimate go-to pasta meal. It’s easy, it’s fast and it’s just filled with ingredients that I love. But, I’ve been trying really hard to branch out. 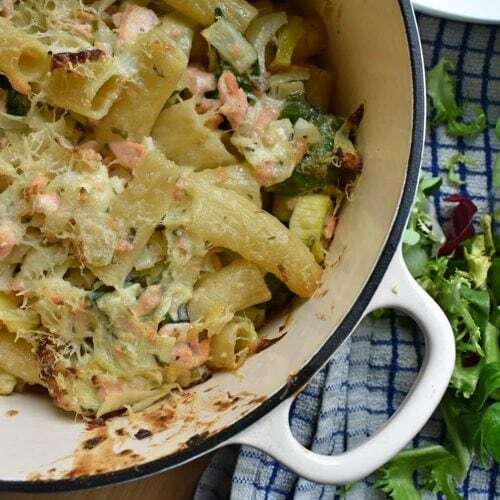 Which made this Creamy Salmon and Leek Pasta Bake the ideal choice for one of the first real meals I’ve cooked since Christmas. We had the most wonderful week…or two, of basically eating cheese. We don’t have Christmas dinner here, so I can’t even say we ate leftovers. We ate cheese, and pate, and a New Year’s Eve Indian. I didn’t cook a meal for so long. Which was awesome, but by the funny weekend between I was ready to eat proper food and get outside again. When it comes to salmon, I’m a bit funny. As a kid, I only remember having tinned salmon. Which was fine. Then as an adult, I’ve never been sure about fillets of salmon. I like them with a nice lemon butter. But with other things, I’m just not sure. I find them a little bland. So I put it in a pasta bake. Because that makes everything better. 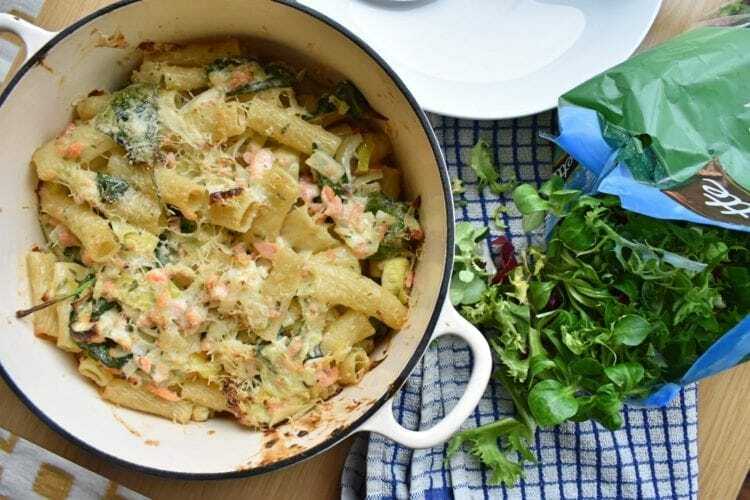 The sauce in this Creamy Salmon and Leek Pasta Bake is a super simple, but wonderfully tasty double cream and loads of tarragon. I love tarragon, so I’d happily add tons, but feel free to adjust my recipe to your taste buds. 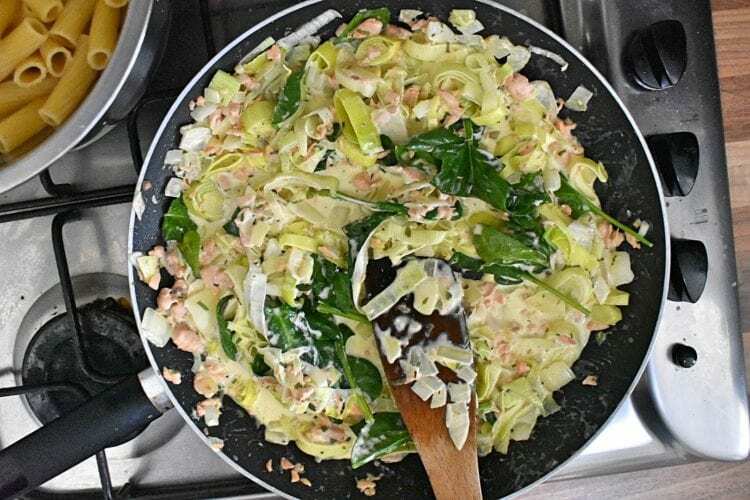 I also add a handful of baby spinach, because it tastes great in the creamy tarragon sauce, but you don’t need it really. Peas and brocolli would also make great additions. I will say though, the massive amount of cream means that while the other ingredients are quite healthy, it’s not a diet-friendly meal. I highly recommend going for a long walk and eating it anyway, but if you’d prefer, swap the double cream for single, or try a half fat creme fraiche to reduce the calorie count and fat. A yummy and filling family dinner!